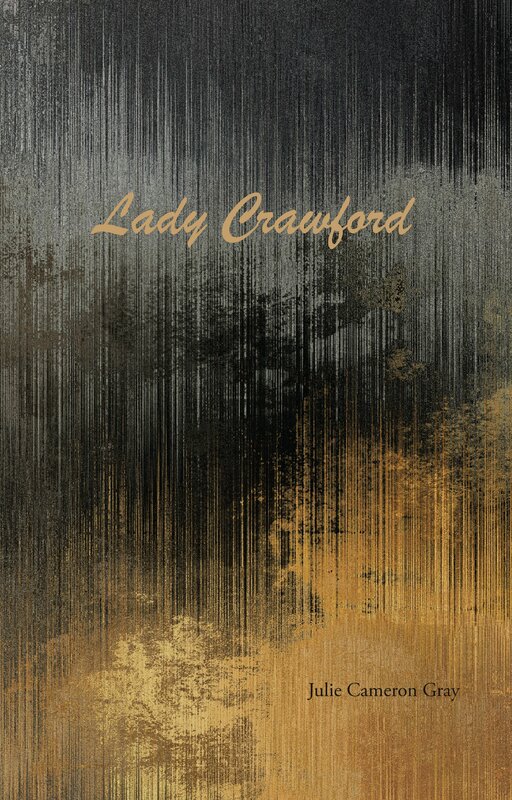 Lady Crawford. Julie Cameron Gray. Palimpsest Press. Windsor, Ontario. 2016. Julie Cameron Gray can burn with the best of them. These wicked smart poems get to the edge of sophistication without Today's book of poetry feeling a plebeian kink in the neck. Gray is a post-modern feminist to our way of thinking and determined to reveal some chinks in that old patriarchal order. She has to open up her heart to do it. Gray never allows Lady Crawford to become any sort of strident dialectic tract all weighed down with agenda. These poems offer all the variety of subject, tone and result that you can ask for from a book of poetry. Today's book of poetry sees that Gray has some serious chops and it's all tempered with a reasonable sense of humour. Humourless poetry will be the death of us all. angles under a different sun. died in a five-car pileup. that got lost on their way home. Today's book of poetry has all sorts of reactions to poems but my lovely wife K is a little more direct and forthcoming. Today's book of poetry usually reads Today's title the night before, in bed. Today's book of poetry has always read the title at least once by this point in our process. So last night, I tried a couple of Julie Cameron Gray recipes on K.
As it turns out K was reading Plutocrats by Chrystia Freeland and she offered up a trade. She'd listen to as much poetry as I wanted if I promised to read Plutocrats. Well a nod's as good as a wink to a blind horse. Fair enough. Of course K never knows what is coming. In general I only read her the very best or the very worst of my nightly poetry feed. I'm sure you can guess which I thought Gray had to offer - but in this case the guarantee comes from higher up the food chain, K loved it. dying on the shore, arrows were a kind of weather. Julie Cameron Gray published her first volume of poetry, Tangle (Thightrope Books, 2013) a few years ago and Today's book of poetry has yet to see it but we are assured by our reading of Lady Crawford, this is fine poetry by any standard and all full of future. Gray has that ability to make her intimacy and knowledge yours. The reader can feel certain beats of Julie Cameron Gray's generous and challenging heart. in Florida's manic orange juice sun. drive off in a Lamborghini. while their husbands were away at war. and thrashed them to roses. As good as Today's book of poetry demands you believe Lady Crawford is we are convinced this meal is just beginning. Julie Cameron Gray will burn down the house before she is through. Julie Cameron Gray is originally from Sudbury, Ontario. 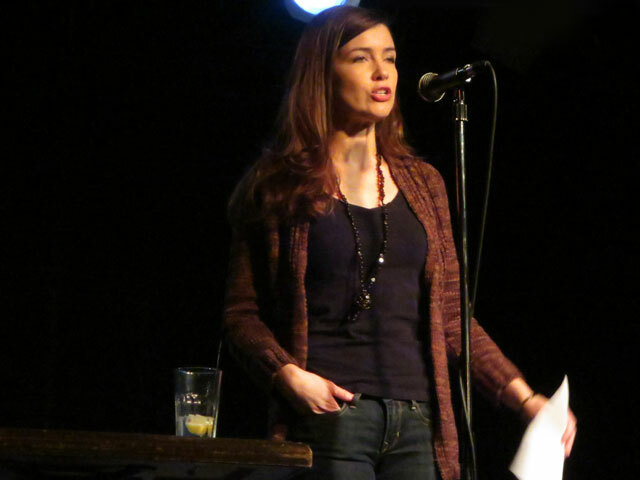 She is the author of Tangle (Tightrope Books, 2013), and has previously published in The Fiddlehead, Prairie Fire, Event, and in Best Canadian Poetry 2011(Tightrope Books, 2011). She currently lives in Toronto. writing out the small familiar tragedy of we live, we sorrow, this wrecking ball of a book smashes myths of femininity. It is as if this poet woke from the slumber of a young woman's dreams and, seeing how all the dreams were broken, set about describing her experience of the broken castle as more than lies -- as cultural reconstruction. Among many other feats, this beautiful poetry of impassioned reason ironizes the lives of famous women as heart broken. Reading it, our hearts are broken as our hearts were, once, already.